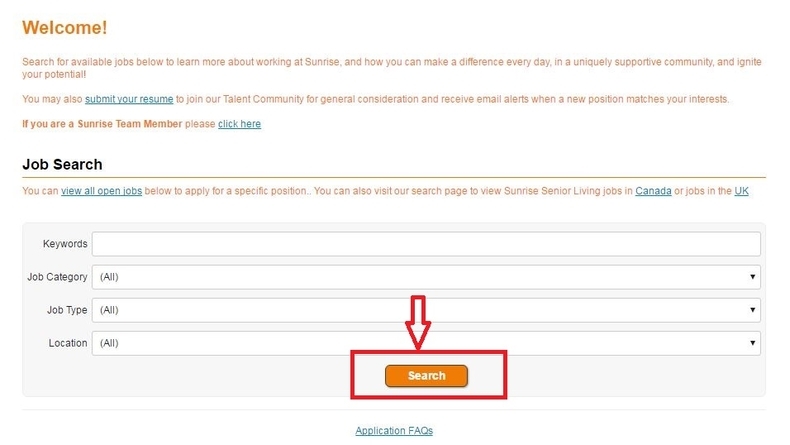 If you want to apply for a job at Sunrise Senior Living, you need to enter sunriseseniorliving.com/careers in your browser to visit its careers page. And click "job search" to find a position. You may search jobs by entering keywords to find a job you like, or you may search by selecting job category, job type or location. 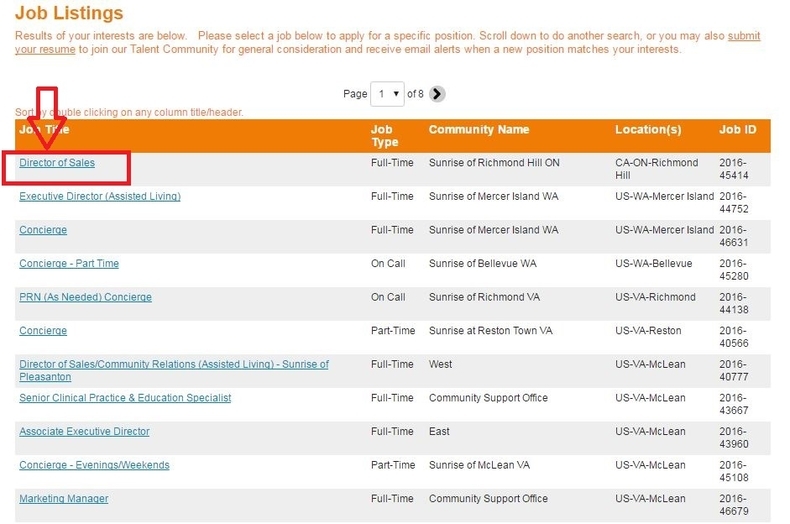 If you want to check all job vacancies, you can click "view all open jobs". You will see a list of jobs on this page. Please choose a position you'd like to apply for. 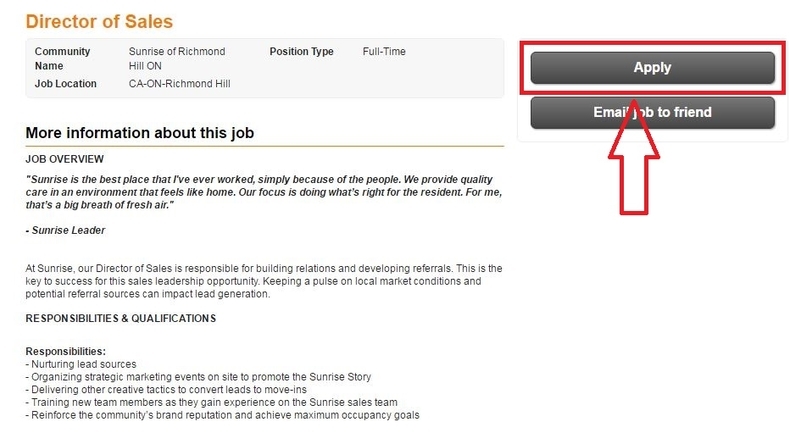 And click it to see job details. Let's take "Director of Sales" as an example. Please learn something about the job you chose on this page. 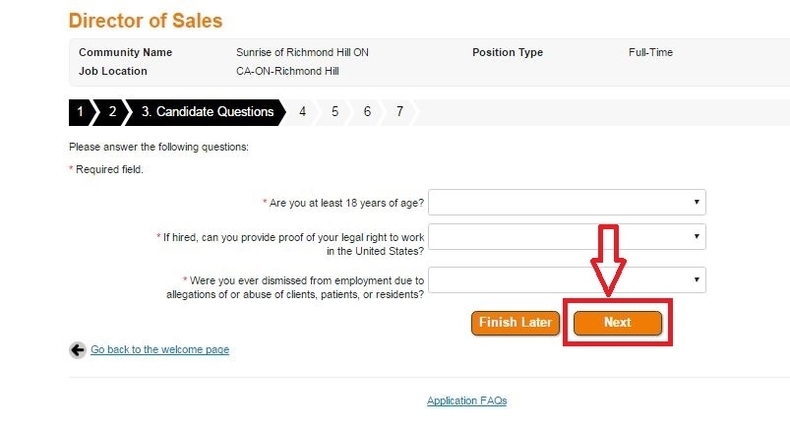 Check the detailed information about the job you chose in the third step to see if you are able to be qualified to apply for it. Please click "apply" button to go on once you've made up your mind. If you have a current resume, you may upload it directly. Otherwise, you are encouraged to finish the resume online. 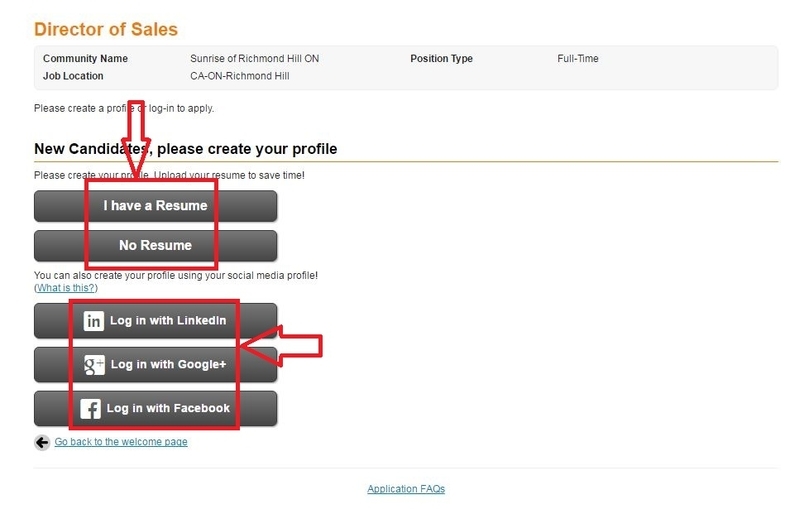 You can also create your profile using your social media profile like LinkedIn, Google+ or Facebook. 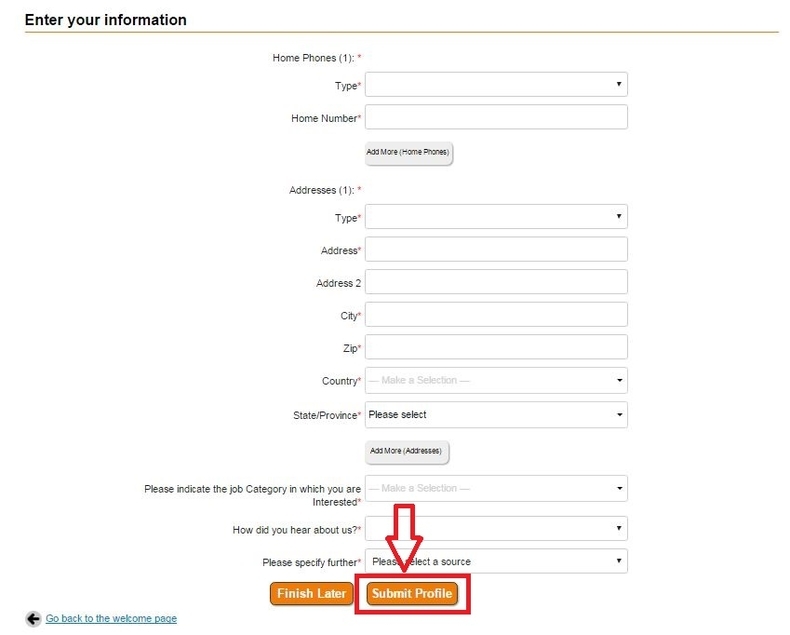 You are required to create a profile in this step. 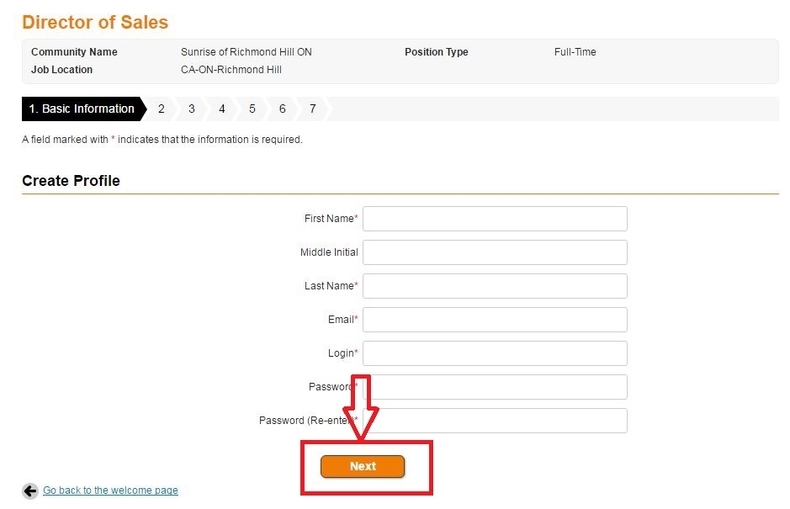 Enter information such as your name, email, login password, etc. And the click "Next" to move on. Enter your information including your name, address, phone number, etc. Fields marked with an asterisk are required. Then click "Submit Profile". You may also save and finish later. Are you at least 18 years old? If hired, can you provide proof of your legal right to Work in the United States? Please answer those questions by selecting "Yes" or "No" in the drop-down menu. 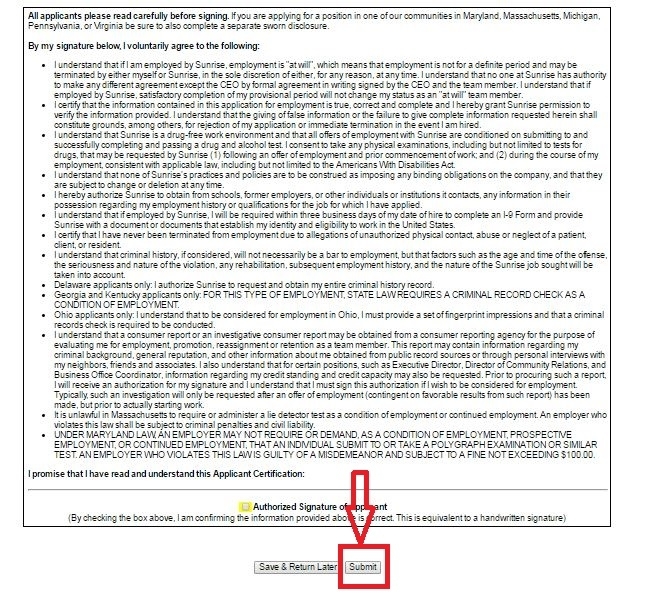 Next, you need to fill out voluntary information, job specific questions and fill out the remaining information and review your application information. This is the final step for you. If there is no problem, please click "Submit" to send your application request. 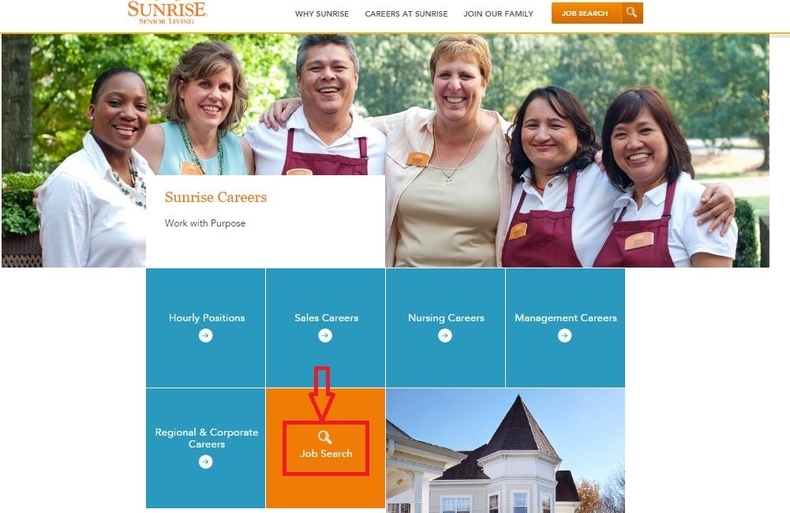 Click sunriseseniorliving.com/careers to apply for Sunrise Senior Living jobs online.